Home America Great Again Standardized Sentencing Has Never Worked … And Never Will. Standardized Sentencing Has Never Worked … And Never Will. The controversy over the sentencing of Paul Manafort has raised the perennial problem in the dishing out of justice – how to make the system fairer and more uniform. Most justice is meted out locally. The cultural and political standards of specific communities can differ widely – and create both the appearance and reality of unfairness. We saw this in the extreme during the days of slavery and southern segregation when Democrat judges imposed the harshest sentences on Negroes just because they were. Racial inequities are still found in our judicial system. It is most often found in the larger cities where, again, Democrats impose more convictions and longer sentences on black offenders. That is why more than 80 percent of prisoners who have received what appears to be excessive sentences are from the major cities where de facto racism and segregation still hold sway. The cliché “three-time loser” rose out of an early practice of putting an offender behind bars for life after committing a third major felony. Since a review of sentencing across America reveals far different levels of punishment for comparable crimes. One person guilty of second-degree murder may spend 30 years in prison while another may be out in a matter of months. We often hear that “if you commit the crime, you do the time.” That is a wonderful sentiment but does not apply to real life. 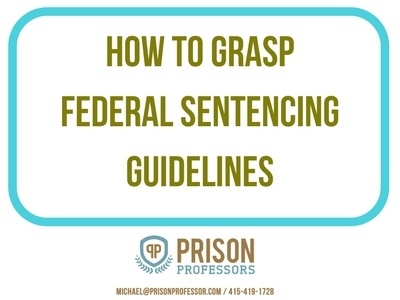 Efforts to drive out these inconsistencies – which, on the surface, seems like a good idea – has led to a number of rules and “guidelines.” One way to make the process less arbitrary are laws that required “mandatory sentencing” for certain crimes. This had two unanticipated untoward outcomes. It put a lot of people behind bars for a long time even when mitigating circumstances should have reduced the penalty. This was one of the factors that led to the overcrowding of our prisons – and disproportionately with minority offenders. There was also the problem of letting criminals walk. When faced with a Draconian sentence for an offender who may not have deserved the mandatory long sentence, judges and juries would simply refuse to convict. The time was deemed too much for the crime. Mandatory sentencing was replaced with broad guidelines. These were not mandatory ranges but simply recommendations to the judge. A commission was established to formulate the guidelines. It was made up of judges, prosecutors and others from the legal profession. Unfortunately, these are people who have a propensity to convict and incarcerate for a relatively long time – and that is what they recommended. This is borne out by the fact that the United States has the highest incarceration rate in the world. Think about that. We put more citizens in jail (716 per 100,000) than any nation on earth – more than Russia (316 per 100k) and more than China (118 per 100k). Looking at it another way, the countries with the largest populations have far fewer in prison in real numbers. India, with a population of 1.3 billion people, has approximately 420,000 prisoners and China, with a 1.4 billion population has 1,650,000 prisoners. The United States, with a population of 325 million – less than one-fourth the population of India and China — has 2,121,600 of our countrymen and women in jail. With approximately 4.4 percent of the world population, America has 22 percent of the prisoners. These statistics alone show that we are sending too many people to jail and for too long a time. Justice cannot be handed out on a broad scale. Each case is different. Each defendant is different. Each crime is different. And above all, each jury and each judge is different. It is impossible to judge cases from a distance. The Manafort case is a case-in-point. Judge T.S. Ellis was correct in stating that the federal guidelines were excess – because they always are. It is the reason that Ellis was able to include in his sentencing a few similar cases in which defendants got much shorter sentences – and in some cases no jail time at all. Ellis was correct in considering Manafort’s age, health and positive contributions. For all its problems and inequities – and the potential of corrupt judges – sentencing is best left up to the presiding judge. Meting out justice in a just society is a human process. If it was even possible to make it purely an objective process, we could replace judges with computers.